Stringent quality assurance and an innovative approach form the basis for an extremely high quality and modular concept. 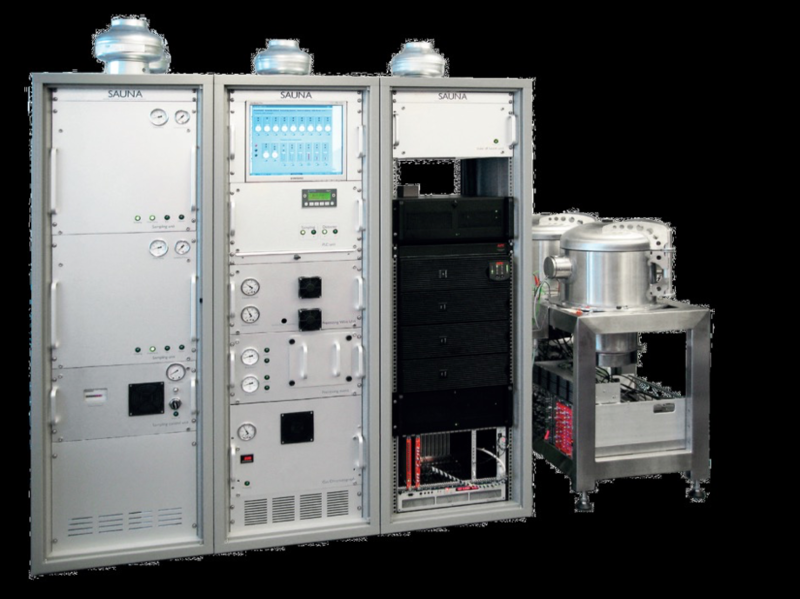 The company’s world-wide established SAUNA II system exceeds the Comprehensive Test Ban Treaty (CTBT) requirements for near real-time ultra-sensitive field measurement of short lived noble gases. A range of products are now available to meet specific needs and different applications. All systems offer excellent reliability and easy maintenance and are supported by a worldwide support organization. The highly sensitive beta-gamma detection technique results in low detection limits for all four relevant xenon isotopes. The technical specifications and performance of the system exceeds the specifications defined by the CTBT requirements. An advanced state-of-health (SOH) system monitors performance and provides real-time alerts regarding system parameters. Data from the local SOH database can be displayed for any sensor with high time resolution, providing possibilities for long term stability studies and remote troubleshooting. SAUNA is a flexible concept with a high degree of modularity. All modules are individually exchangeable, with components being placed in modules according to functionality. This facilitates potential future upgrades and simplifies troubleshooting. The system design is both intuitive and logical. It includes front and rear interfaces providing versatile access and functionality. The front side provides limited features with only the most importantparameters displayed. Access to the system for daily routine operation and monitoring is through the SOH software. The rear side, where the modules are interconnected, is used for service and maintenance.